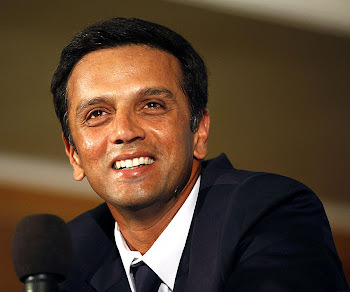 Some of Gundappa Viswanath's many good qualities as cricketer and man have rubbed off on Rahul Dravid. And 'The Wall' is "very proud" about it. The former India captain spent time with Haresh Pandya in the South Zone dressing room after it defeated North Zone in the Duleep Trophy semi-final in Rajkot on February 1, to talk about the legendary batsman who turns 60 on February 12. What are your memories of Gundappa Viswanath? I was about 10 years old when Vishy finished his international career. I never really saw him play in Tests or One-Day Internationals. Of course, I saw him in action in a few Ranji Trophy matches towards the end of his career. And I must say I was greatly impressed, even fascinated, by whatever I saw of him. It gave me an idea what a great batsman he was. Hailing as you do from Bangalore and Karnataka, did Vishy have any influence on you, your cricket and your career? Yes, very much. I had already heard and read a lot about him. Later I got to know him a lot while growing up. He made a staggering contribution to Karnataka cricket while playing different roles -- player, manager, selector, etc. Of course, his contribution to Indian cricket is equally massive. I learnt a lot from him about batting and what cricket is all about. I've really enjoyed his company. I've had a number of rewarding conversations with him, about my batting in particular. I've always found his advice and tips very useful. Though he retired long ago, he continues to be a fountain of inspiration for many. Do you cherish any particular piece of advice from Vishy? I think his golden advice is to keep learning regardless of your experience. 'Experience doesn't just mean you've played about 25 matches or so. What is important is you should learn from every single match you play. Cricket is a great game and you should always keep learning about it. Every new match is a new experience,' he told me once. I've been strictly following this philosophy. What are your impressions of Vishy as a batsman? I think he was a genius. All those great players who have played with and against him continue to rate him very high. I myself have seen videos and films of some of his outstanding innings. I must say he was an exceptional stroke-player. I think he was an artist with an unmistakable style of his own. He had terrific balance and you couldn't find fault with his technique or shots. Did you like his approach to batting? He tended to take risks, didn't he? His whole approach to cricket, not just to his own batting, was very positive. It was one of his many endearing qualities. I know there has been a general feeling that Vishy was a bit carefree character. But I don't think it's true. I thought his game was much organised. And I knew from my conversations with him that he thought a lot about his game. How do you rate Vishy as a human being? I've only respect for Vishy as a cricketer and human being. He is a very easy and pleasant man to get along with. He makes even youngsters feel comfortable. He always puts you at ease and you get a lot of knowledge from him. Despite being a very great cricketer by any yardstick, Vishy is very humble and modest about his achievements. I can tell you from the many good conversations I've had with Vishy that humility is his greatest quality.